All Shelf Wall Brackets should be installed on concrete wall, solid brick wall and solid wood wall. Do not install on hollow and floppy walls. Tighten the screw so that wall plate is firmly attached, but do not over tighten. Over tightening can damage the screws,reducing their holding power. 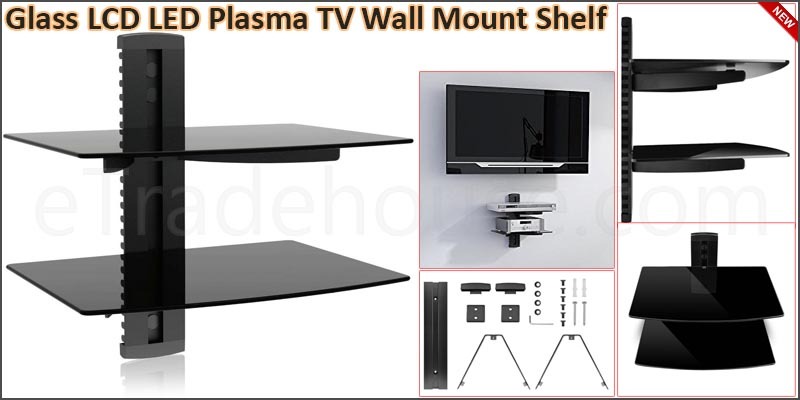 Do not remove screw or loosen screw from the Shelf Wall Bracket until the entire product are removed from the mount.Doing so may cause the screen to fall. All Shelf Wall Bracket should be installed by trained installer specialist.